In recent months, environmental advocacy groups have been making news in fisheries science. In the spring, Dr. Molly Lutcavage outlined her history with Carl Safina and his bluefin tuna agenda. Please read the excellent piece by Dr. Lutcavage to get all the details, but the gist is that Safina—like many other “environmental advocates” stake a position that some resource or species or system is in dire condition. Unfortunately, this becomes a problem when the position is either not inherently true or changes—as managed species and systems do. The Lutcavage—Safina history has to do with Safina’s unchanging position that bluefin tuna are on the brink of extinction, while in fact Dr. Lutcavage and many other scientists have produced defensible, peer-reviewed work continually adding more information to what we know about bluefin tuna, including evidence that there are more fish out there than we originally thought, and that new spawning areas are being discovered. Because this peer-reviewed science doesn’t align with Safina’s invariant point of view, he targets Lutcavage and makes false claims about her. A second example came in May when the group Greenpeace decided to make false claims about the nature of Dr. Ray Hilborn’s work. In what the scientific community has perceived as laughable if not so malicious, Greenpeace has (and continues) to label Ray Hilborn an “Overfishing Denier”—whatever that means. There’s a lot more to this story than will be covered here, but basically Greenpeace has unsuccessfully tried to take Hilborn to task for not disclosing that his research has been partly supported by the fishing industry and that Hilborn often suggests that overfishing isn’t as rampant as Greenpeace thinks it is. Without parsing apart the whole saga, Greenpeace has tried to cite Hilborn for not disclosing his funding. It turns out that Hilborn does cite all his financial support correctly, according to best scientific practices as well as one of the top peer-reviewed scientific journals, Proceedings of the National Academy of Sciences. One of the top journals in science agreed that Ray Hilborn cites his research correctly. 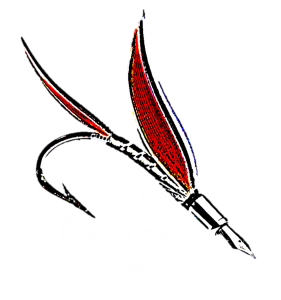 Please note that the views expressed in the Fisheries Blog are solely those of the authors who wrote them and do not necessarily reflect the views of the U.S. Geological Survey, which makes no representation on the accuracy of opinions expressed in this blog. Next Post Finding Dory’s memory : Do fish remember? Thank you for taking the time to highlight this important science issue! We should have some sort of empathy toward a species that’s going extinct. This is a very interesting article. It illustrate how one needs to be cautious about the claims of environmental groups. The public should never forget that environmental groups also needs funds to survive. Their funding is often raised around a campaign. So they need a topic, like Bluefin Tuna, to create a campaign to raise public sympathy and ask for funds. They always need to find a new topic to bite on. Also, an issue like the one described in this article, is a good example on how they pursue their “vigilance” on scientists as part of their activities within a campaign. We should publicize our assumptions, and we should pay attention to what we know about overfishing, habitat destruction, climate change, and human overpopulation rather than to what we might never know about “regime changes” and population dynamics. Sea crimes are often perfect crimes, and fisheries science is a very soft science.